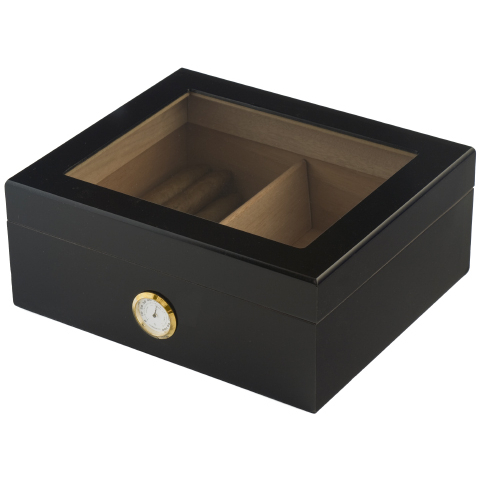 Keep your favorite cigars fresh and on display with this beautiful glass top, black wood cigar humidor. 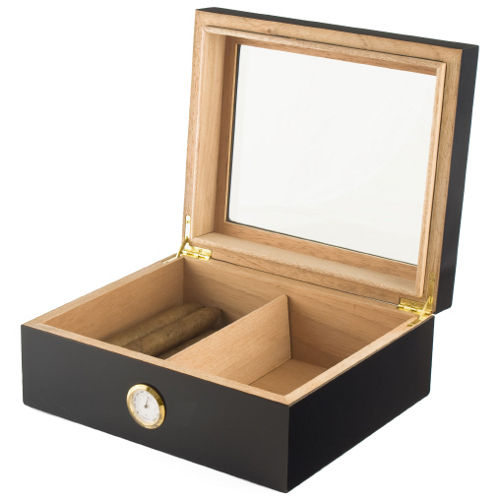 The humidor is a great size for desktop display, or simply anywhere in your home, and comes with a front-mounted brass, analog hygrometer so you know your sticks will always be kept at their ideal conditions. Also included is a magnetic, round interior mounting humidifier.